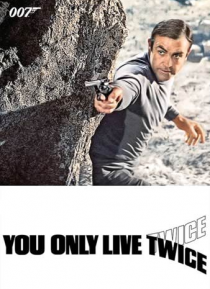 The fifth of the James Bonds... Secret Agent 007 is sent to Japan to investigate his cat-loving, volcano-headquartered arch-nemesis and SPECTRE's head man--Blofeld--who is engaged in an elaborate enterprise to steal both Russian and American spaceships. And each side is blaming the other. It appears that SPECTRE's plan is to provoke WWIII so that it can take control of the world. Based on the nove… l by Ian Fleming.